The Windows 7 libraries are a special central location of all the various folders on your computer. It enables you to group all the files and folders of a particular type. Libraries enable you to see the contents of multiple folders on your computer, Homegroup, or network shares as a single logical folder. To search for files in your computer, go to the Libraries and navigate the various subfolders contained within it. We can create other libraries as you need them as well as add files and folders to each of these predefined libraries. 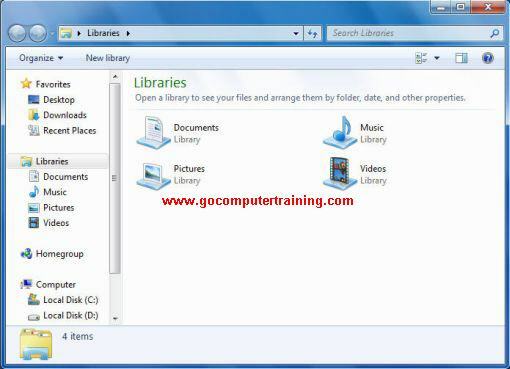 The Libraries are found in Windows Explorer. Click on the Windows Explorer button on the Windows taskbar. By default, there are four libraries that are Documents, Music, Pictures, and Videos. When you double-click on the Documents library, you will observe that there are two folders contained within it - My Documents and Public Documents. My Documents is for saving your own personal data and the Public Documents is for everyone. In fact, My Documents is mapped to C:\Users\username\My Documents and Public Documents is mapped to C:\Users\Public\Public Documents. With the Windows 7 Libraries, all your content should ideally be grouped under the default libraries. 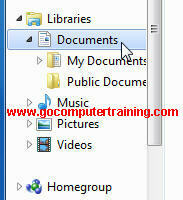 When you need to looking for documents, you simply go to the Documents library and start your search from there. You can create additional libraries at any time and include folders from different locations or remove them. Click the Windows Explorer button on the taskbar. To display the Library pane, click the Organize button on the toolbar, point to Layout, and then click Library pane, if necessary. To change the library display, click the Arrange by button on the Library pane, and then click an option. Right-click Libraries and from the pop-up menu, select New and click Library. Give a name for your library (for example, Salary). 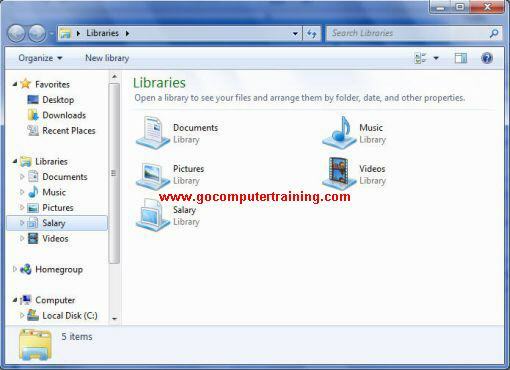 To include a folder in a library, navigate to the folder location, right-click the folder, point to Include in library, and then select the library you want. 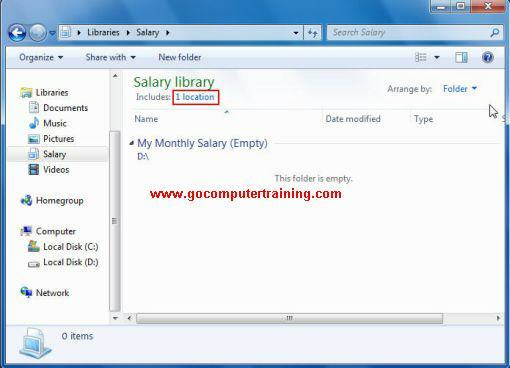 To remove a folder from a library, open the library, click the Locations link on the Library pane, select the folder you want to remove, click Remove, and then click OK.
Right-click the Salary library (in the left hand pane) you just created and click on Properties. A new window pop-up showing you options to add folders and customize the library. button to add folders to your library, you can choose to add one or more folders. For example, I navigate and click to the D:\My Monthly Salary folder (created before) and then click on the Include folder button. Once finish adding the folder click on OK.
To add more folders to the library, you can repeat the above steps or click the 1 location link. 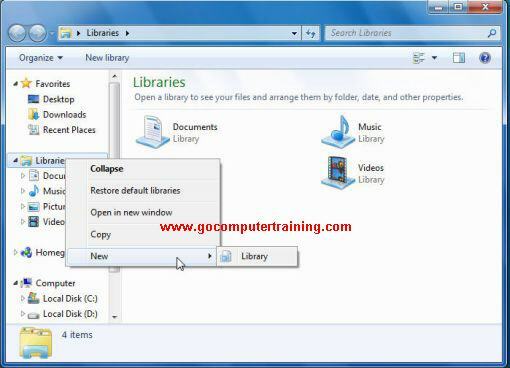 Click the Add button to specify a folder to add to the library. You can add as many folders are you like. Note: The first folder added to the library will be the default save location for the library. You specify another folder as the default save location by right-clicking a folder in this list and choosing "Set as default save location."